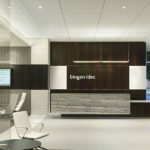 Biogen in Cambridge, Mass. 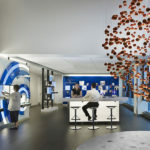 is the world’s oldest independent biotechnology company. 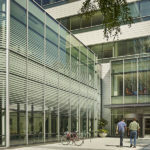 Founded in 1978, the company has led cutting-edge innovations in science and medicine for nearly 40 years. 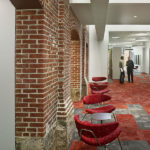 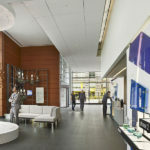 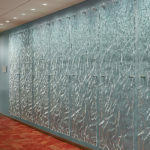 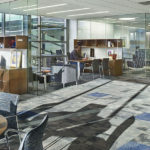 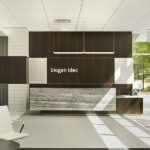 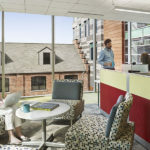 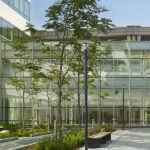 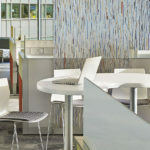 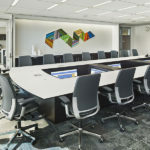 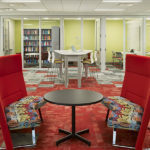 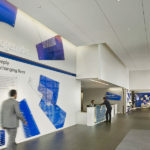 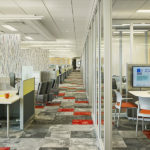 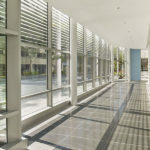 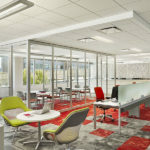 To drive continued organizational success, Biogen launched a change management initiative and requested more collaborative space at the Cambridge Campus. 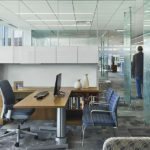 By reworking the organization’s interior layout and design, senior executives exchanged enclosed offices for open spaces, and workstations shifted from high-walled cubicles to open, collective workstations. 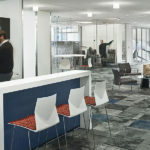 We reduced per person work space density from 220 SF to 160 SF, allowing for impromptu “casual collision” meetings. 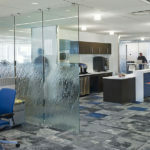 Our efforts resulted in a tight-knit office environment where ideas and decisions are finalized quicker, and where change can occur over a weekend. 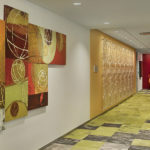 Materials, finishes and furnishings also reflect this transformative approach with bolder colors and patterns. 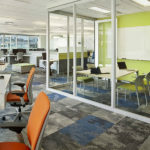 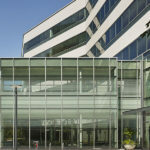 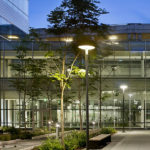 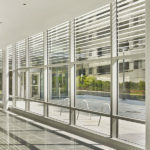 Flexible furniture arrangements boost work flow and lighting is now designed to LEED Platinum standards. 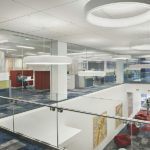 Work completed while at Nelson.